It looks like LG this year wants to flood the market with K series smartphones. The company already introduced five handsets from this series - the K4, K5, K7, K8, and K10 - and it now plans to announce a sixth model. Revealed in China, where it's been approved by the country's Telecommunication Equipment Certification Center, this sixth handset that we're talking about has the model number LG K535, and might be hitting the market as the LG K11, or maybe LG K12. One of these names would make sense, as the new phone is larger, and more powerful than the K10 (model number LG K410 / K430), the K8 (model number LG K350), and all other K series devices currently available to buy. The LG K535 runs Android 6.0.1 Marshmallow, and, unlike the rest of the K series handsets, it comes with a stylus pen that's tucked in the back (upper left corner). Sporting a generous 5.7-inch display with 1080 x 1920 pixels, the phone further offers a 16 MP rear camera, an 8 MP front-facing camera with its own LED flash, 3 GB of RAM, 32 GB of expandable storage space, and a 2900 mAh battery. As for the processor that's powering the device, this is a 1.2 GHz octa-core Snapdragon 430 MSM8937 - one of Qualcomm's newest mid-range chipsets. 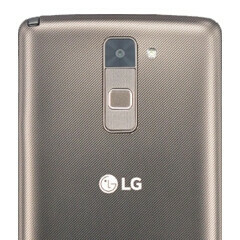 The LG K535 / K11 / K12 measures 155 x 79.6 x 7.4 mm, and weighs 146 grams. All in all, this can be considered an enhanced LG Stylus 2, which has about the same dimensions, but offers lower-end features (including a 5.7-inch 720p display, a quad-core Snapdragon 410 processor, and 1.5 GB of RAM). We're not sure when this new LG smartphone will be released, but we're going to let you know when it happens (soon is probably a good guess). 430 with 1080p display! Ouch..... Good luck playing games. Seems good otherwise. I keep seeing 3gb RAM paired with subpar processors. Wouldn't 2gb and a better chipset do? Try actually reading the specs for the SD430 before assuming it will have terrible graphics performance. It contains an Adreno 505 GPU, which directly replaces the Adreno 405 GPU in the SD615 and SD617. The CPU is slightly slower than the 6 series, but the GPU is better. It's called LG Stylus 2 Plus. I saw the article from Taiwan. WOW 3GB for low end. Congratulation LG for doing that. (unlike it's rival from the same country that doing 1.5GB RAM & 2GB RAM for their premium mid-range A series phone) I wonder HOW RESOURCE HUNGRY android N is. I think phone with 2GB RAM will met it's maker in second half of 2016. I hope this year LG would deploy a highend phone with stylus.seeing so much midrange device with stylus..looking great.